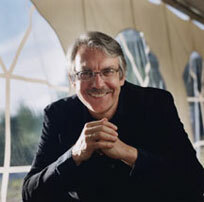 The Boston Symphony Orchestra, recently commissioned MIT Institute Professor John Harbison to write his 6th Symphony. This is the 8th work the BSO has commissioned from the composer. Under the baton of James Levine, the orchestra will perform the complete cycle of 6 Symphonies by Harbison as part of the current and next seasons. The first performance, this Thurs, Fri and Sat, October 14, 15 and 16 will feature John Harbison’s 3rd Symphony, along with Mahler’s 5th under the direction of Maestro Levine. Thanks to the MIT Council for the Arts, free student tickets will be available for these and other performances of MIT Institute Professor John Harbison’s Symphonies by the BSO. The Council for the Arts at MIT via its generous funding of the BSO College Card, provides free admission to BSO concerts for MIT students. How to get free tickets for the BSO in 7 easy steps!